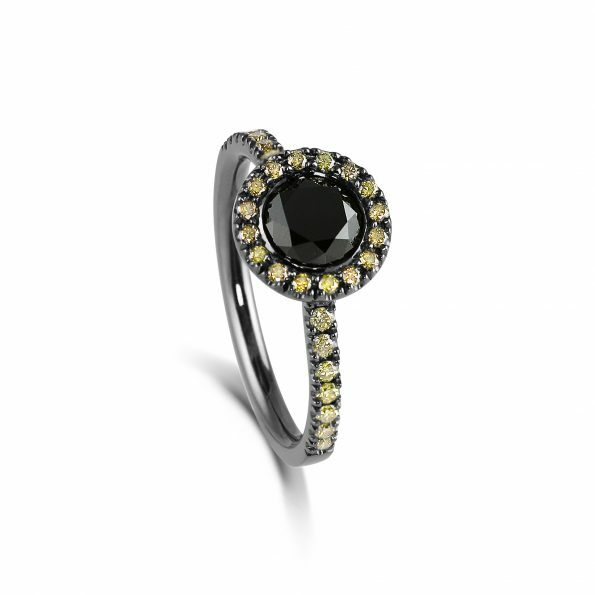 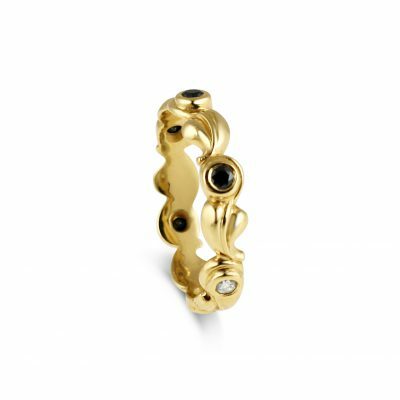 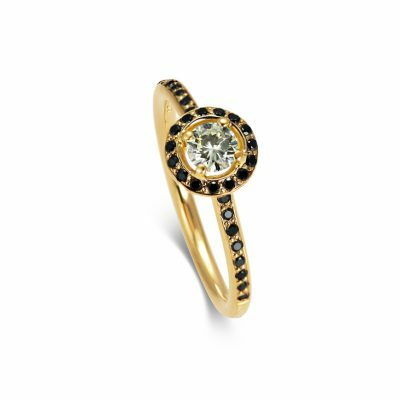 The dark depths of black diamond, surrounded by the twinkling yellow diamonds, encapsulated in shadow gold. 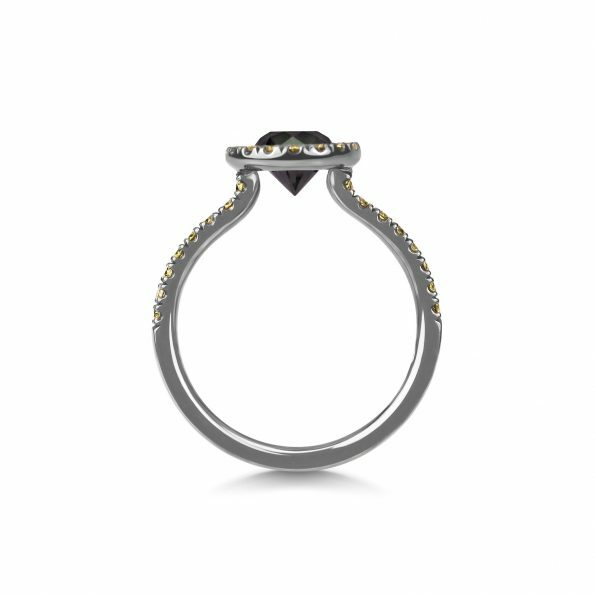 Zorya, the guardian of dusk, night & the cosmos. Combining traditional with the alternative, the Zorya Evening Star is both steadfast & mysterious. 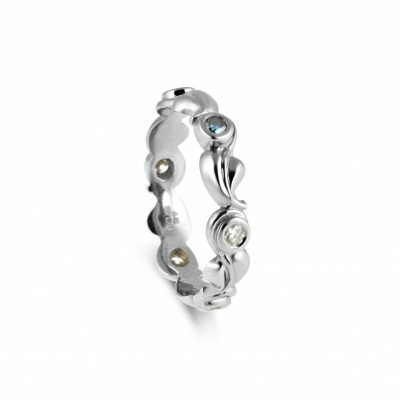 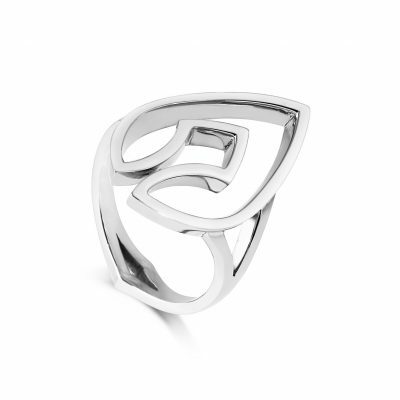 The Evening Star ring is designed to allow a band to fit flush against it, in perfect unity.